The Supaclip binds papers without damaging them. The clips can easily be removed manually and are re-useable again and again. 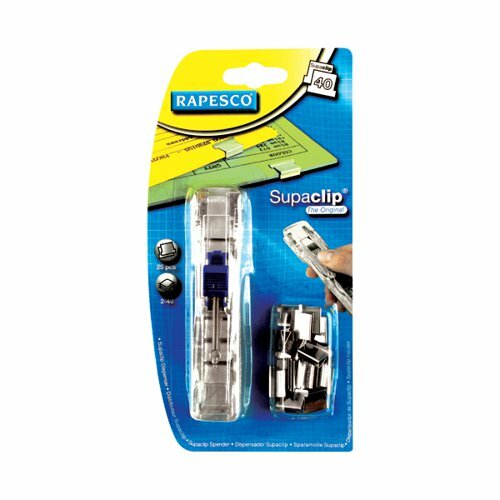 The supaclip 40 dispenser dispenses clips with a capacity of 2-40 sheets of 80gsm paper.